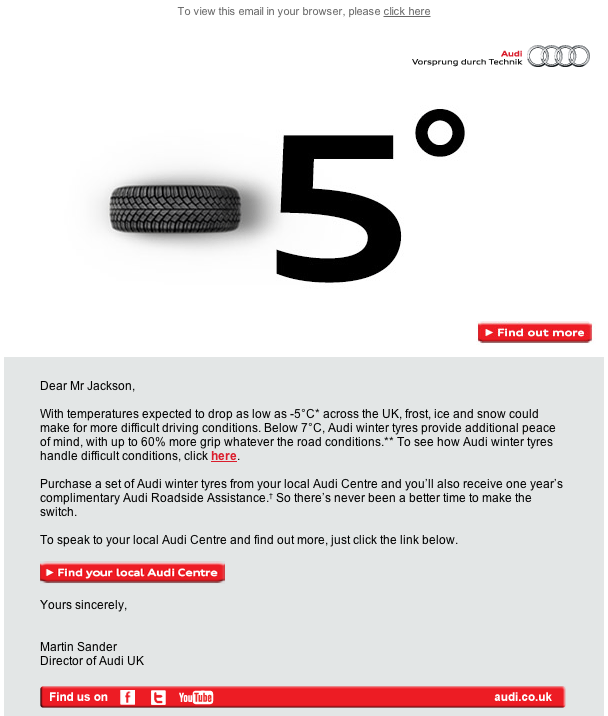 BeSeen / Blog / Audi’s conflicting email subject line – deliberate or mistake? Advertising for winter tyres? But I thought this was about the car awards? So, was this a deliberate mistake from Audi to get your attention? Or a genuine ‘oops, we fluffed up!’ The following email came in not long after the first one was sent out. This time with the subject line ‘We’re Sorry‘. Well if you haven’t clicked on the first email to read it, you’ll be curious as to why this one says sorry and you might just click on it. Whats the conclusion? Were Audi trying to get peoples attention? Or was it a genuine mistake? We’re 50-50 in the BeSeen office. I personally like the “As we’ve just demonstrated, you can’t always predict what’s up ahead; so we do hope that you’re feeling as prepared as possible for the road conditions to come.” – A thought out, well written email, perfect for the time of year and weather conditions. Plus an apology – well, at least we know they’re honest! 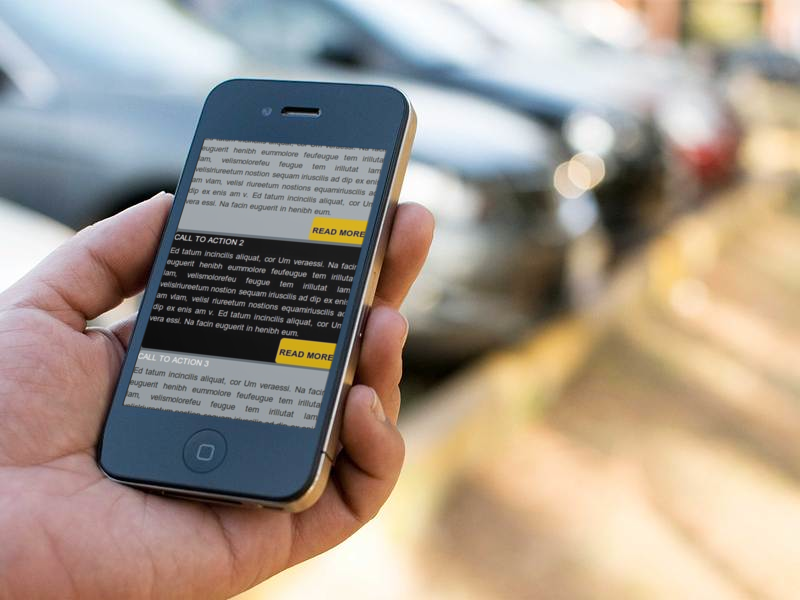 Something like email blasts can’t be deleted once they’ve landed in the recipients inbox, so make sure you check, check and if necessary, check again before sending! I’m sure Audi had multiple people checking it but i just goes to show, we all make mistakes! 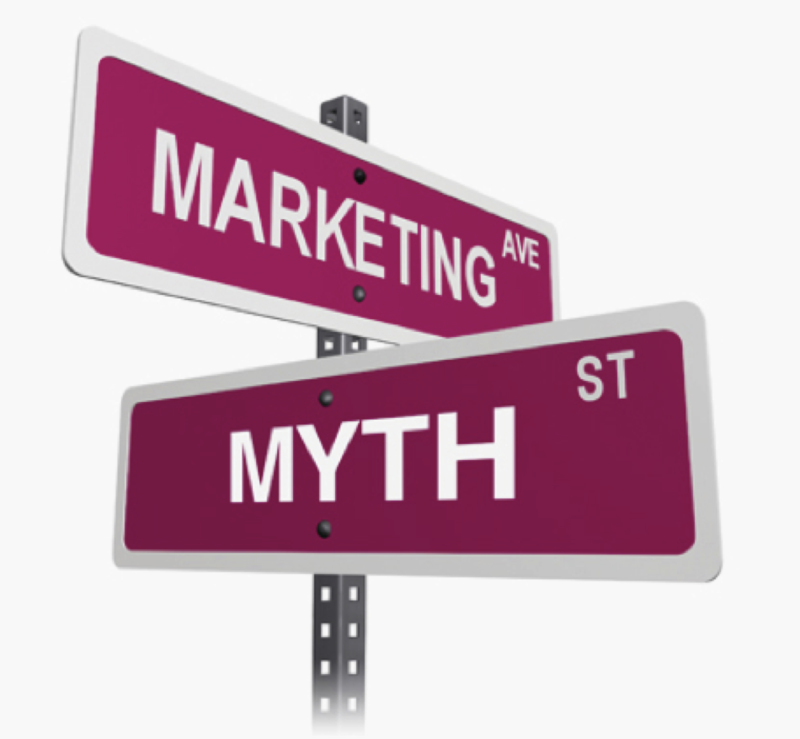 Be honest and own up about them – it might just get you extra marketing exposure!